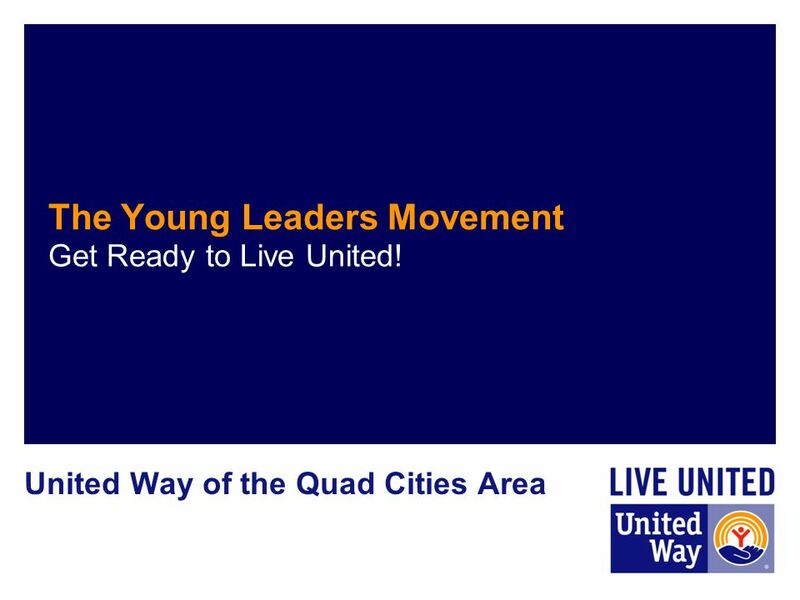 The Young Leaders Movement Get Ready to Live United! 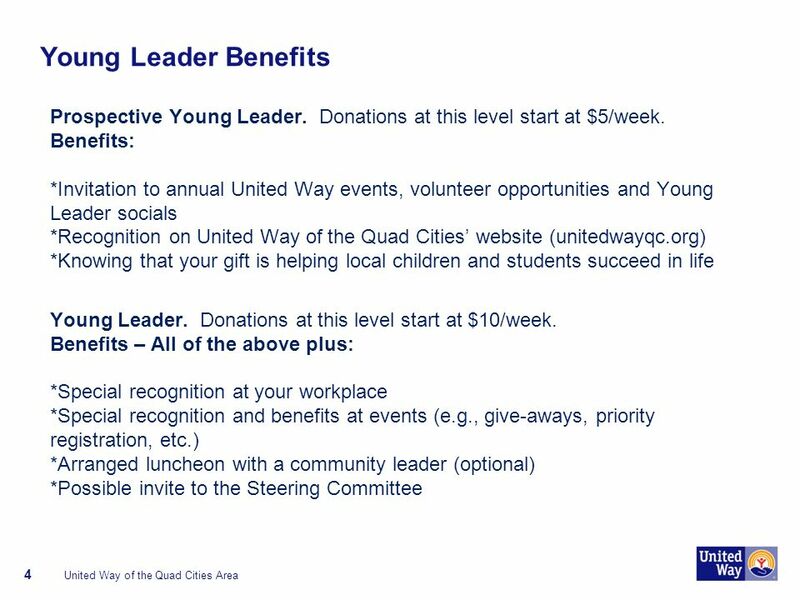 United Way of the Quad Cities Area. 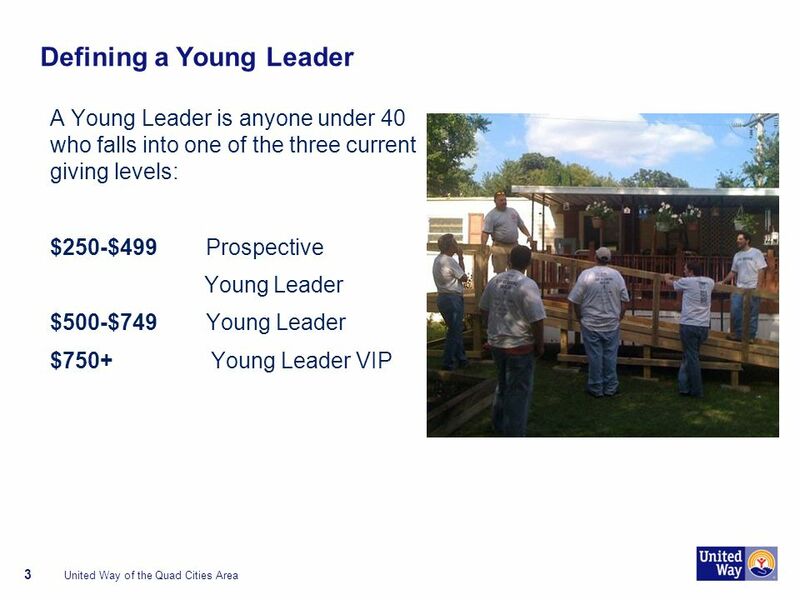 Download ppt "The Young Leaders Movement Get Ready to Live United! 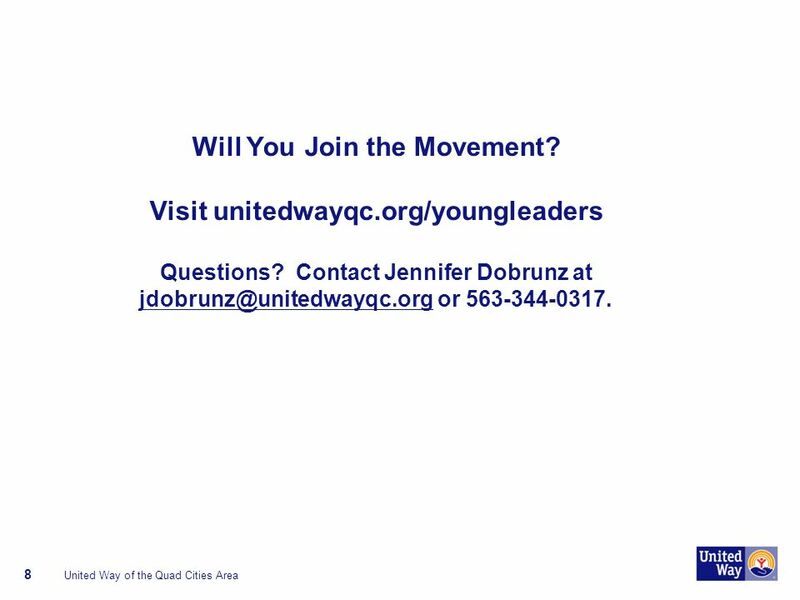 United Way of the Quad Cities Area." 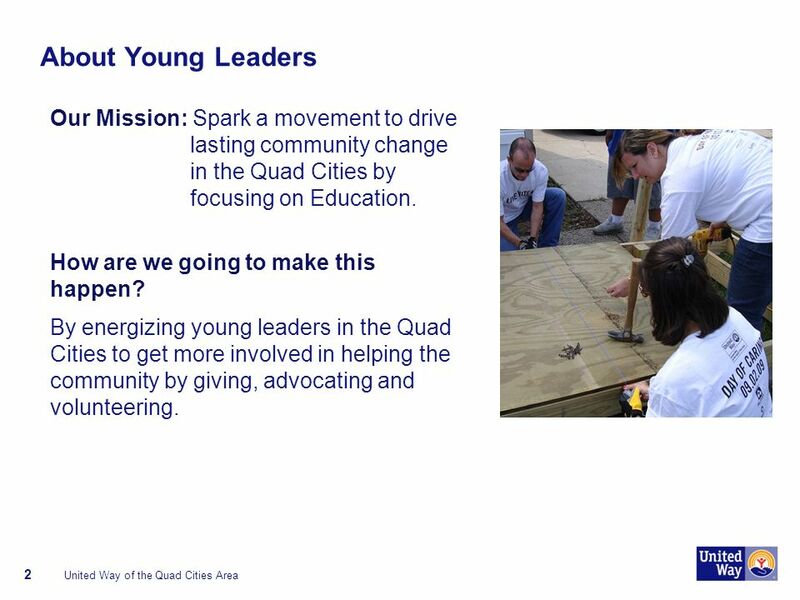 Achieve Quad Cities 1. The Silent Epidemic: National Impact 7,000 students drop out every day. 1.2 million student drop out annually. Dropouts represent. Where Does Waldo Work? T raining Webinar Sponsored by AFP and HEP June 23, 2010 Terry Handler, T. Handler Consulting. 7 Days In May 2014 Information Package. What Is 7 Days In May? 7 Days In May is a movement that started in 2012 to raise awareness and funds to cure Pancreatic. TEACHER OF THE YEAR AWARD Arizona Education Foundation. 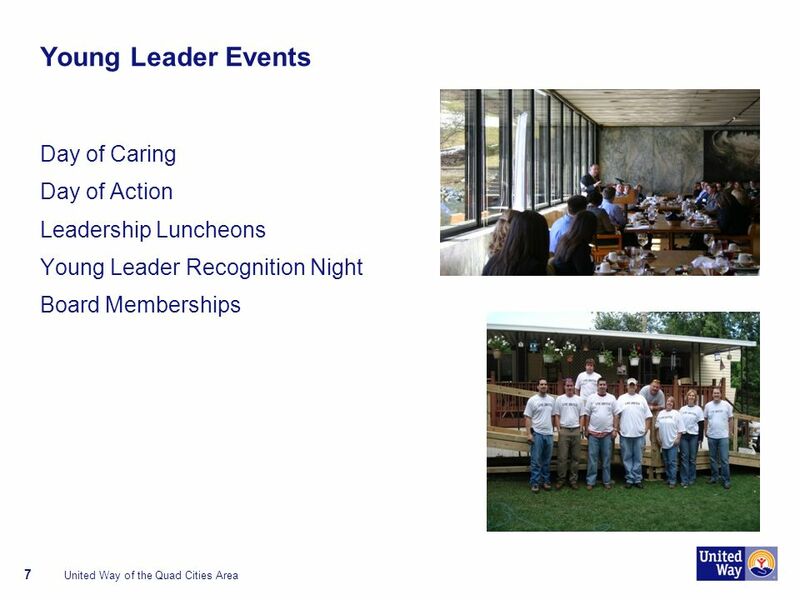 Service Quality Division Leadership – Innovation - Results. 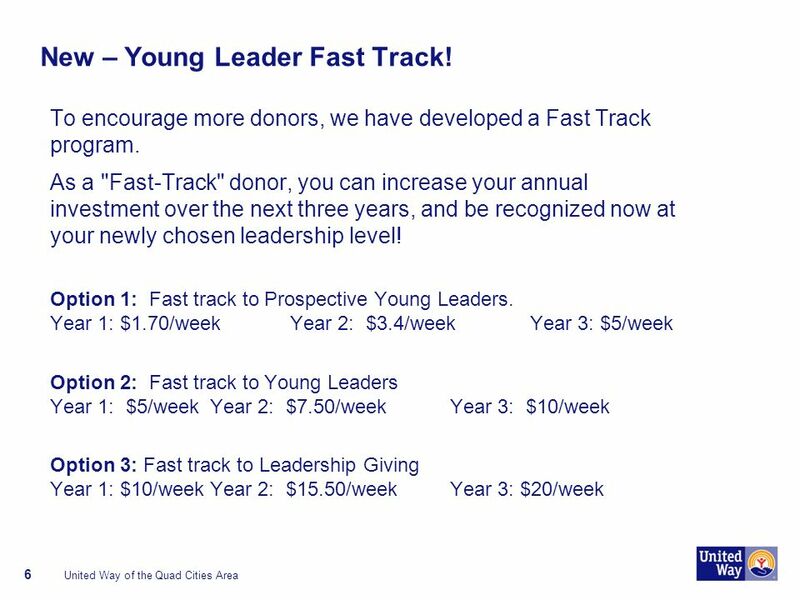 ArtsWave + You: Making an Impact. What is ArtsWave? What is an Employee Campaign Coordinator? 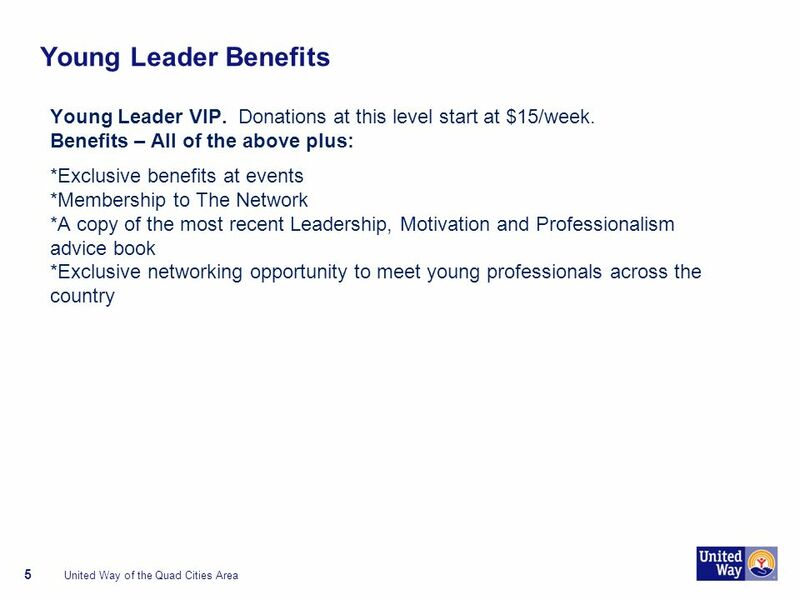 2014 Campaign Information Planning Giving Levels / Benefits. Improving Student Academic Achievement and Closing Achievement Gaps Bringing Improvement to Scale at All Grade Levels. Tuscaloosa Thursday Morning Long Range Planning Report to the Club June 11, 2009. The following presentation provides a general overview about the IEEE Foundation. This information will assist potential donors and IEEE Organizational. R10 Committee Meeting 2011 Om Perkash R10 Student Representative 5-6 March, Yogyakarta, Indonesia! IEEE Region 10 SAC/GOLD /WIE Congress 2011. We proudly invest in the leaders of tomorrow The Olave Baden-Powell Society. The FBLA-PBL Professional Division Preparing Students for Tomorrow’s Business World. Student Membership BCS, The Chartered Institute for IT 2013-2014.